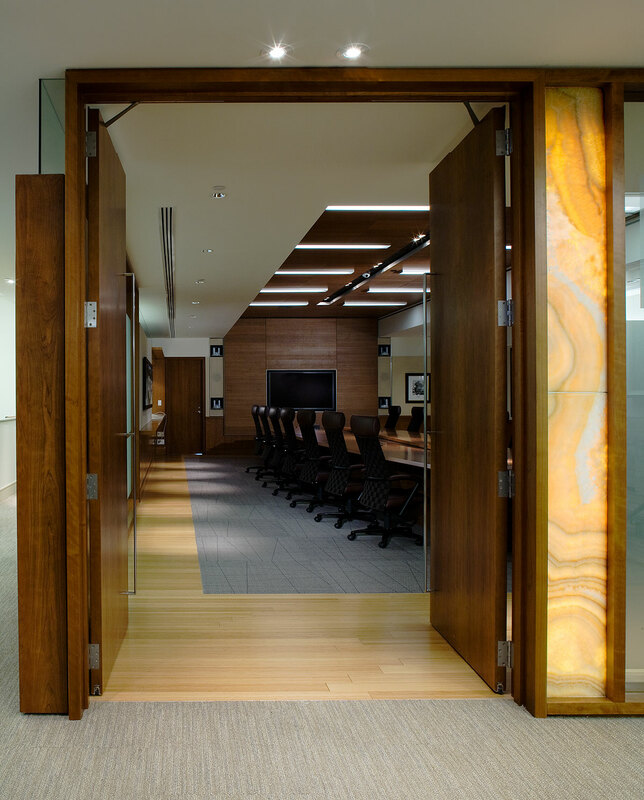 Home > Portfolio > Select Portfolio > Agnico-Eagle Mines Ltd.
Agnico-Eagle Mines Limited is an international growth company focused on gold, with operations in Canada and advanced-stage end opportunities in Canada, Mexico, Finland and the USA. 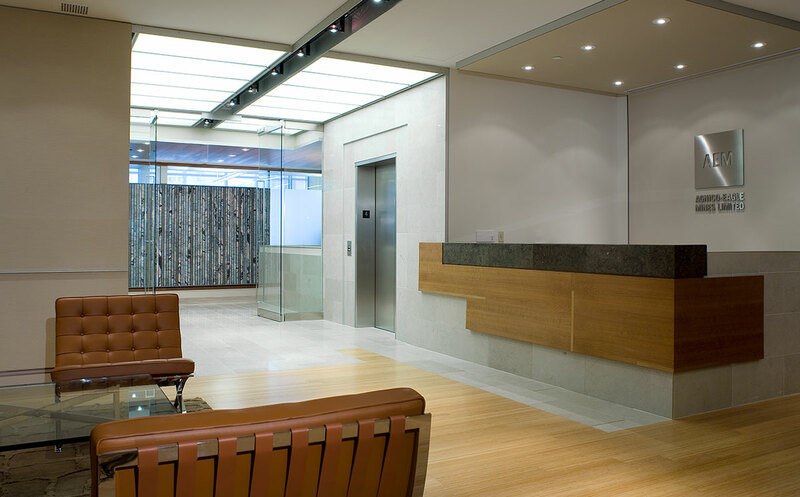 MARANT was retained to provide construction management and general contracting services to build out the new corporate head office. 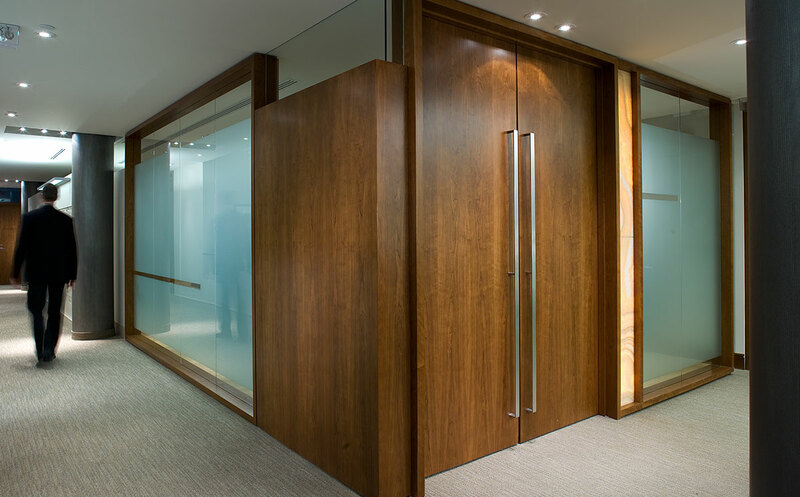 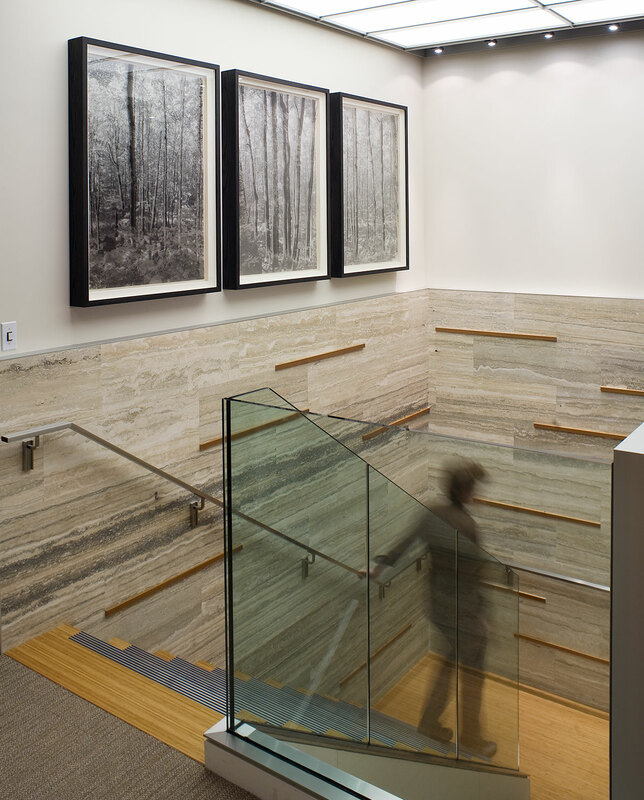 The office facility was constructed using high-end finishes such as wood feature walls and ceiling, boardroom entry doors and flooring and, natural stone was used on the feature staircase and walls. 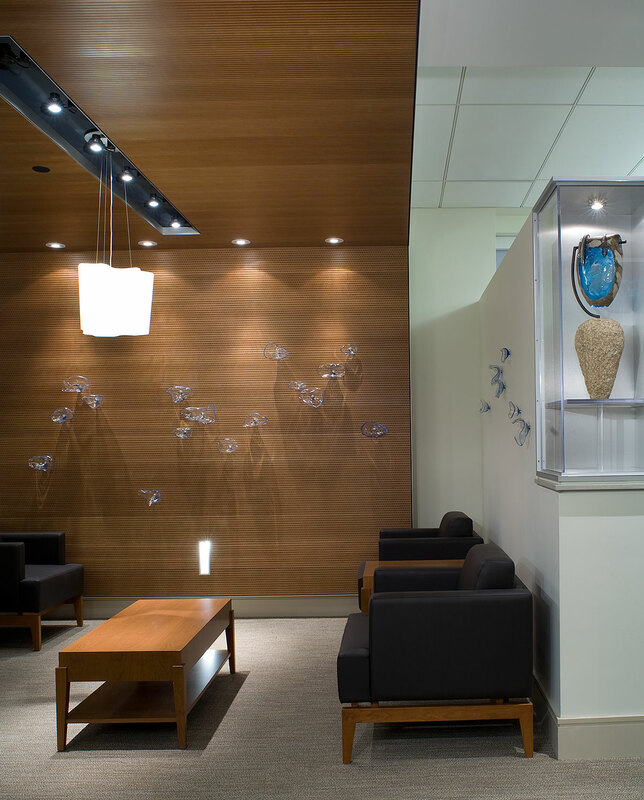 This was a highly detailed space with a sophisticated audio visual installation. 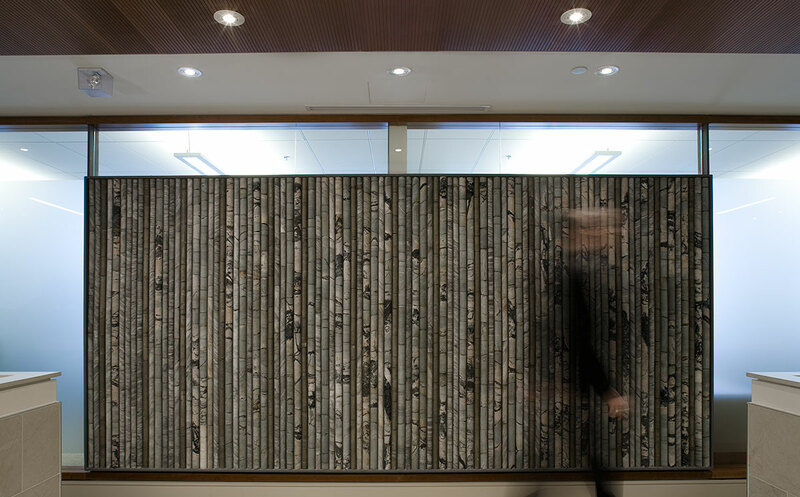 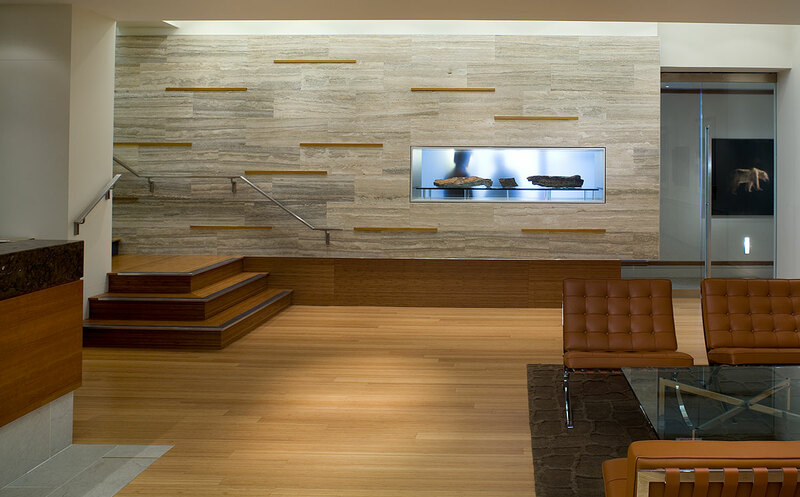 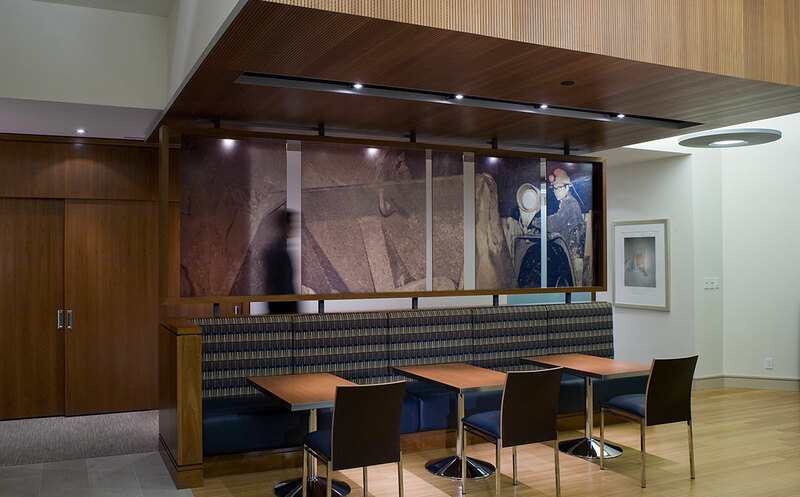 The space has a 12' x 9' “art wall” at one end of the reception area, which was created using 8’ stone core drill samples from the client’s international mines.